We've crossed our original God Bud genetics with our favorite heavy producing Afghani to create the exemplary God’s Afghani. 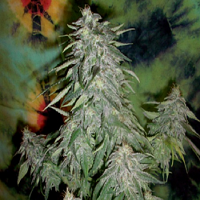 God’s Afghani Feminised Marijuana Seeds by Jordan of the Islands Seeds: We've crossed our original God Bud genetics with our favorite heavy producing Afghani to create the exemplary God’s Afghani. 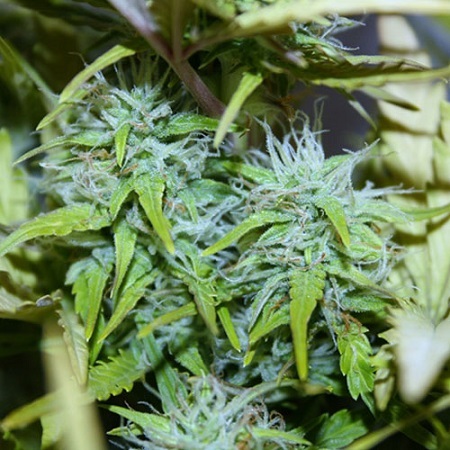 The heavy yielding, fast flowering, short in structure, cannabis strain is now available as feminized marijuana seeds. The popular indica is going to delight people who enjoy sedate effects and may convert some sativa heads too. 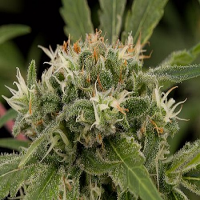 God’s Afghani is a great medical marijuana for people with chronic pain or anxiety problems. The lack of sativa provides a soft sedate effect that will unwind muscles and minds, a really nice mellow chill high. 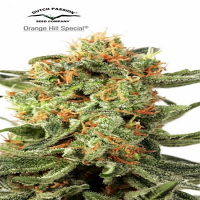 The marijuana strain has a super quick finishing time and the majority of our feminized marijuana seeds will complete flowering within 45 days, but some may take up to 55 days. Dropping the temperature in the final 10 days of marijuana flowering will turn some of the plants a dark shade of purple. There’s little side branching to this cannabis plant - making it ideal for sea of green. The single cola is exceedingly hefty and these feminized cannabis seeds are excellent for both new and experienced growers. People who provide extra attention will be amply reward, while those who make a few mistakes will be easily forgiven.